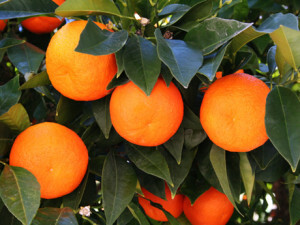 Sacramento, California - New regulations are expected to cost California citrus growers an average of $701 per acre per year, or $203 million annually statewide, according to a new study commissioned by the Citrus Research Board (CRB). "Compliance with environmental regulations not associated with groundwater sustainability is estimated to increase costs by $17.7 million, or $67 per acre of citrus," predicts Bruce A. Babcock, Ph.D., a professor in the School of Public Policy at UC Riverside who authored the study. "New labor requirements will increase costs by $112 million, or $357 per acre, once they are all phased in." "Babcock has presented a well-researched economic report that shows how new regulations will increasingly impact California's citrus industry," said CRB President Gary Schulz. The report, Impact of Regulations on Production Costs and Competitiveness of the California Citrus Industry, also predicts that controlling the Asian citrus psyllid (ACP) "will increase costs by $65 million, or $248 per acre per year, if controls are extended to all citrus-growing regions." Compliance training costs are estimated to increase costs by another $29 per acre, or $7.5 million for the state citrus industry. "As I read and reread Dr. Babcock's report, two things kept jumping off the page: one, 'Cost increases borne by California's citrus but not by ... other citrus growing regions decrease the future competitiveness of California's citrus industry'; and two, '... future compliance with these regulations is estimated to increase costs by $203 million, or $701 per acre per year,'" said California Citrus Mutual President Joel Nelsen. "When the cost of citrus at store level gets too expensive, consumers look for lower priced fruit. This UCR report paints a clear path for policy makers if their goal is to drive the citrus industry out of California and onto off-shore production areas." The section on insecticide treatment addresses grower cost of spraying for ACP, even though the severity of the problem currently differs greatly in various areas of the state. If ACP establishes itself in all citrus regions in the state, which the report says is "almost inevitable," control efforts would amount to $39.5 million per year, according to Babcock. This would be in addition to the state-mandated tarping of fruit that is transported to packinghouses, at a cost of approximately $9 million per year. The impact of the Sustainable Groundwater Management Act (SGMA) is hard to predict, according to Babcock. "It will not be possible to calculate the impact of SGMA until each basin's groundwater sustainability plans have been finalized," he states. "Without new surface water supplies, it seems inevitable that some farmland that currently relies on groundwater will need to be fallowed to balance withdrawals with recharge rates." Babcock, a Fellow of the Agricultural and Applied Economics Association, has won numerous awards for his applied policy research. He received a Ph.D. in Agricultural and Resource Economics from UC Berkeley, and Master's and Bachelor's degrees from UC Davis.